US Lead Network offers HIPAA compliant WordPress websites that are beautiful, customized and Mobile Responsive. We build predominantly on the WordPress platform, which is easy to manage and search engines love them for rankings.Does your website look great on any format (smartphones, tablets, desktops, laptops)? The US Lead Network produces sites that are responsive to all devices, so you do not need a separate mobile site. Our content team will write your website, our Award Winning graphic designers will customize the look and feel, and our developers will code it into WordPress.Your healthcare website represents a critical function for your business. It can help acquire new patients, act as a communication portal for existing patients, and allow sensitive information to be submitted. If your practice website has even the potential for transmitting health information of an individual, then the Health Insurance Portability and Accountability Act (HIPAA) should be considered. Running afoul of HIPAA may cause healthcare entities to become liable for thousands or millions of dollars. While HIPAA has several requirements, there are actually more recommendations which gives the law some flexibility. When making sure your website is HIPAA compliant, here are the basic tenets we utilize to achieve compliance. Backup – the website should be backed up regularly and be recoverable. US Lead Network keeps daily backups of your website which are always recoverable. 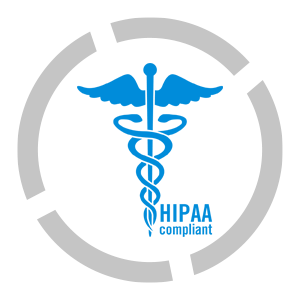 HITECH – in order to comply with the Omnibus requirement, all clients who have a HIPAA compliant site have a HIPAA Business Associate Agreement with US Lead Network. Disposal – can be permanently disposed of when no longer needed. This is true to an extent. Both the live website and backup can be deleted. However, there are internet sites that scrape the web and archive other websites regularly. These are out of purview so to an extent this is accomplished. Storage Encryption – the website should be encrypted when it is archived. The backup sites are encrypted on an off site server for protection should anything happen to the live website. Transport Encryption – when information is transmitted to or from the site, it should be encrypted. US Lead Network implements SSL encryption into the site to accomplish this. Authorization – the website should only be accessed by those who are authorized by the practice or under the Business associate agreement. The server is password protected with 2 separate logins. Integrity – is not tampered with. US Lead Network uses a Cloud Proxy Firewall on sites to prevent malware and downtime. 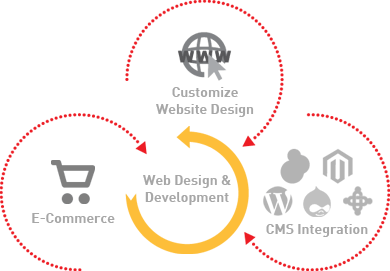 Accomplishing these requirements is not easy and most web design and hosting companies have no idea what a Business Associate Agreement is. US Lead Network has been using them for years. In addition, what about your emails? Google Apps (G-Suite) now offers HIPAA compliant email that only requires some additional steps to implement. We will take care of those requirements for you. One significant area of concern is when a patient or prospective patient submits health information through a contact form. If the only thing submitted is name and contact information then HIPAA is not a concern. However, when health information is sent then HIPAA becomes a concern. So what’s the answer? The way to comply is to make sure all data being sent is encrypted, which is accomplished through an SSL certificate. In addition, the data sent in from the form should be kept on a protected server that is HIPAA compliant. The email being used to receive the contact form information should be HIPAA compliant as well. All of these are accomplished by US Lead Network routinely. US Lead Network was founded by a physician and offers custom HIPAA compliant websites along with internet marketing, paid online advertising services, content marketing, social media marketing and an experienced medical marketing consultant. Big Data is used to help practices uncover hidden opportunities to acquire patients less expensively than with any other marketing medium! US Lead Network produces bilingual websites as well for clients, which is becoming more of a necessity than a luxury. In the Phoenix area for example, 40% of the population is Hispanic. A significant amount of Spanish speaking individuals want to see a bilingual website. If they like what they see, they will call for scheduling! Below is a small sampling of sites the US Lead Network (or its sister company) have done. All of these sites rank very well for competitive keywords, and represent existing clients receiving consistent leads on a weekly basis.